Here's the deal: I'm challenging you to make note of the ingredients of every single thing you put in your mouth for the next seven days. The object of the Food Label Challenge is to build awareness of what you're feeding your body. I bet you'll be amazed at the amount of hidden sugars in the foods you regularly enjoy... Once you know what's really in your food you'll be able to get out in front of making better decisions each and every time you eat. The three videos below will show you exactly what to look for when reading labels. Want More Great Nutrition Coaching? 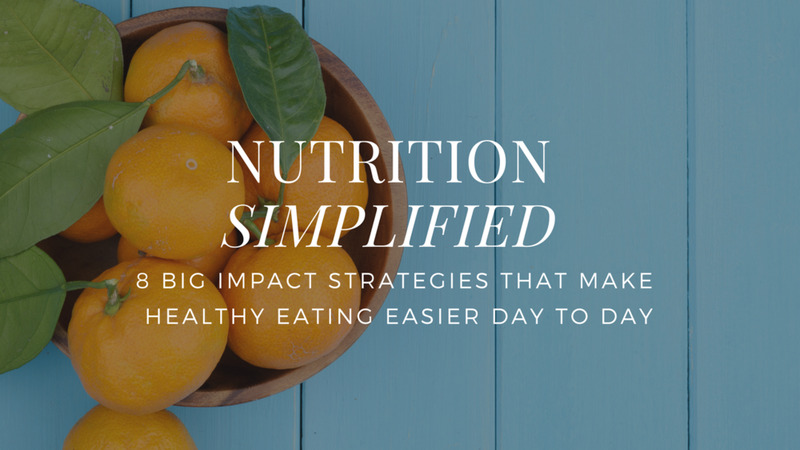 If you haven't already, sign up for Nutrition Simplified. You'll get a short video that explains a key nutrition concept, plus simple strategies you can implement, sent straight to your inbox every day for 8 days. If you want to start feeling more energetic, confident, and stronger in your body, this is the place to start. Get your eating on track in just 8 days. NUTRITION SIMPLIFIED delivers the foundational information and tools you need to start feeling the way you really want.